Truly a loss. A great actor...and don't sell him short in the writer/director category either. You put together a fine list of the man's work, Tony. That's as a fine tribute that any performer could ask for. We'll miss Cliff Robertson. He and his work stand the test of time. May he rest in peace. I read about and commented upon Robertson's death on another blog, but wanted to acknowledge your tribute as well. 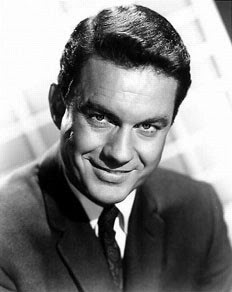 I always loved Cliff Robertson, and thought it a shameful thing that he was robbed of prime career years because he was an honest man who incurred the wrath of a dishonest man backed by an equally liable system. If only for his incredible performance in "Charlie" Robertson has a place in movie history. However, your list reminds all of us that he did excellent work. A well-deserved tribute, Tony.